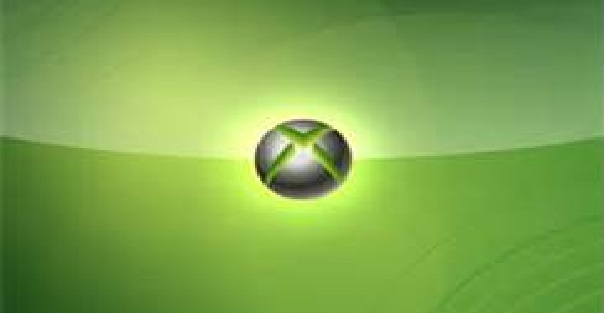 Kabir News Tech Next Generation Consoles To Block Used Games? The gaming world has heard a bit about the PS4 and that it supposedly won’t block out used games. Now everyone is waiting to hear from Microsoft on the Xbox 720. While we all want to hear about the specs and if it will require a constant internet connection, this observer and others want to know if it block used titles. For many this is very make or break especially with titles Stateside being in the $50 and $60 range and even more in the UK, South America, Australia, and other places—which is roughly the same prices as titles during the console wars between Genesis and Super Nintendo. Sure everyone wants a powerful beast of a console and the Xbox 720 is sure to deliver as is the PS4, but used games are one of the vitals of gaming period. Let’s take a look at Sony’s Playstation 4. It was looked at hard when a patent for used disc-blocking software was leaked, but Sony was quick to cover itself on that. There’s also the rumor of Microsoft requiring that the 720 remain online constantly possibly for updates, maintenance, among other possible necessities. Without the constant online connection, the games and apps won’t be able to start supposedly. Remember how well a constant connection was received for the recently released SimCity? Beyond updates and maintenance, being constantly online would greatly assist in blocking out pirated and secondhand titles. While blocking the latter can garner some support from the industry, it’s the blocking of secondhand titles that has everyone eyeing Microsoft’s next generation console closely. You can bet that GameStop, GAME, and other video game retailers are watching as well since they turn a profit from secondhand games and have enough to worry about from browser and mobile gaming. From initial opinions from consumers about this, the reaction is somewhat mixed between not buying the 720 and brand loyalty. With the upcoming titles slated to be released, it could be a bit difficult to go cold turkey on this next generation of consoles when it comes to PS4 and the Xbox 720. There’s still two months until E3, but we expect a few more details to be revealed on the road to the Expo. By then, Microsoft will hopefully lay those concerns to rest or confirm it. What do you think of potentially blocking out used games and needing a constant online connection? Would you still get the next consoles? I think its not all doom and gloom, yes microsoft and sony likewise would be smart to block out second hand games. BUT only if they drastically reduce game prices when new. For example, £20/30 for a brand new game on day of release. (and we can pretty much say they wont be doing that) The other option would be make the console alot cheaper, to get the people involved, and keep prices of games as normal. I doubt very much they will require the internet connection to be 24:7 (because thats just not liable).. what happens when the whole street is down from internet? what happens when you arent fortunate enough for a high speed internet connection. Quite simply, i think we will all be looking at a minimally upgraded version of the 360.. Ive read that microsoft have been on their knees to Sony saying they need blu-ray. So we can expect at least 500gb harddrives, with a blu ray drive.. Radeon graphics card and possibly 8GB RAM. Will you notice a huge difference? I dont think so no.. Ok load speeds should be greatly improved, but graphics wont be too different in my opinion. My dad has a radeon graphics card in his computer, playing BFBC2 .. i tried it and just couldnt play it (because of controls tbh) 360 beats my dads computer anyday, even on graphics. So, im personally looking forward to the price of a brand new 360 dropping.. because if when the next gen console comes out, its got anything to block second hand games, or required internet connetion.. its already not a gaming console for the “people”. In short, i think its fair to say, Microsoft wont be that short sighted, they have plans up their sleeves.. no doubt it will impress.